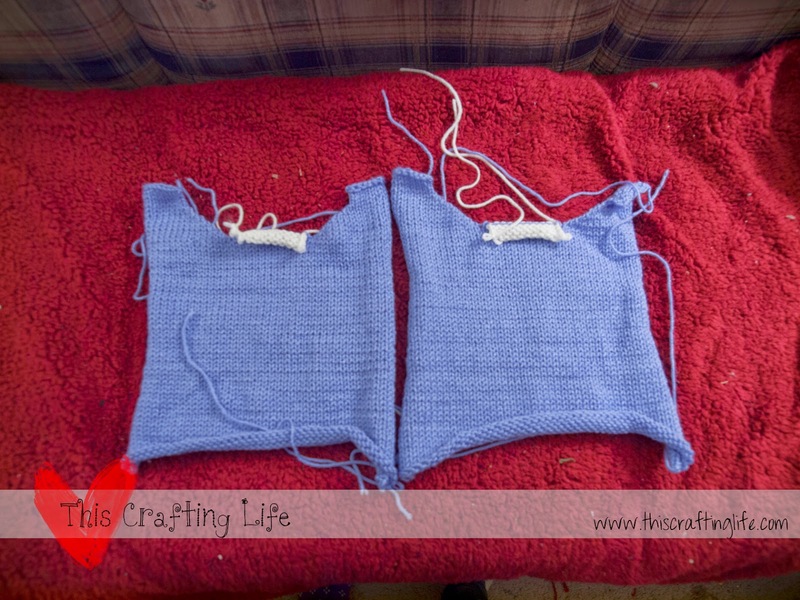 This Crafting Life: Sweater WIP's, New Year's Resolution Post... Again! 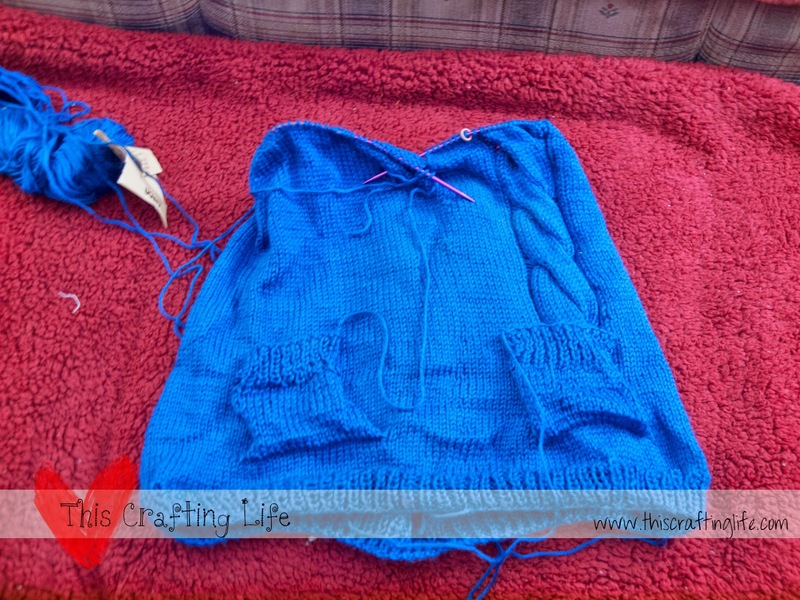 Sweater WIP's, New Year's Resolution Post... Again! Today's WIP sharing session is brought to you by SWEATERS! I have several in different stages that got stashed at weird points and I even forgot that I had a few of these!! 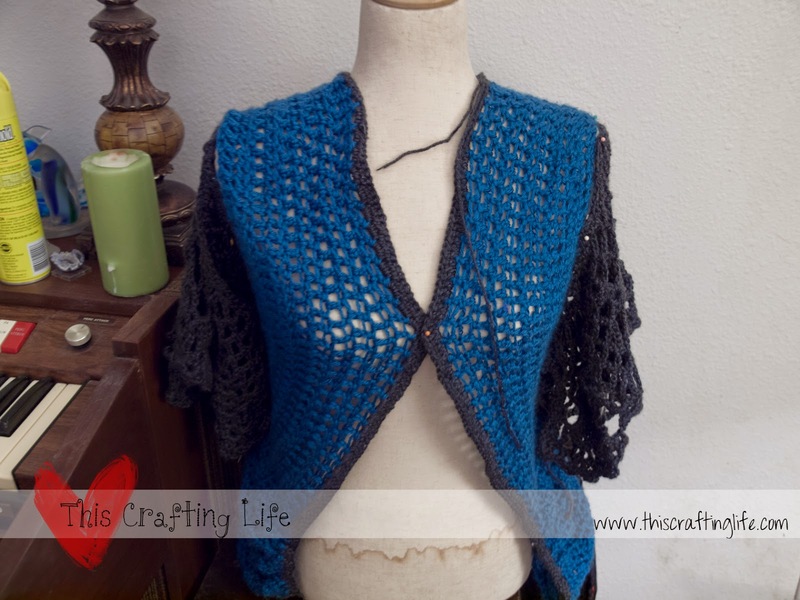 This is a simple sweater dress that I started based off of the Spiralis pattern on Ravelry. I added a cable coming out of the pocket and am probably about 40% done with this one, but I can't find the notebook with my project details right now! Not to mention that whatever yarn is attached to the piece is the last I have of that color until I can get to the craft store. bummer! This one is pretty much done, but needs to be cleaned up (the dryer was not nice to this one!) and the armpits need to be reseamed. 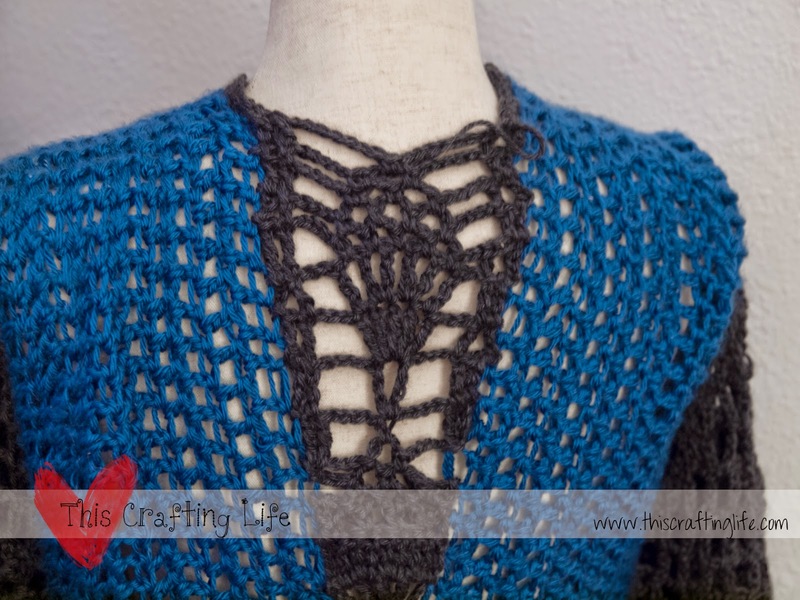 This is my attempt at the Paris sweater. 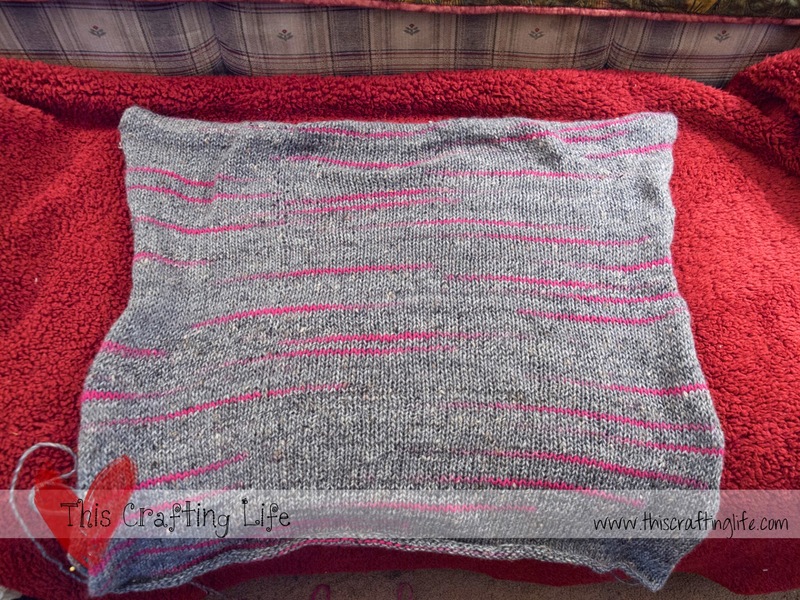 I started it on knitting needles, but then got my knitting machine and went... wow. 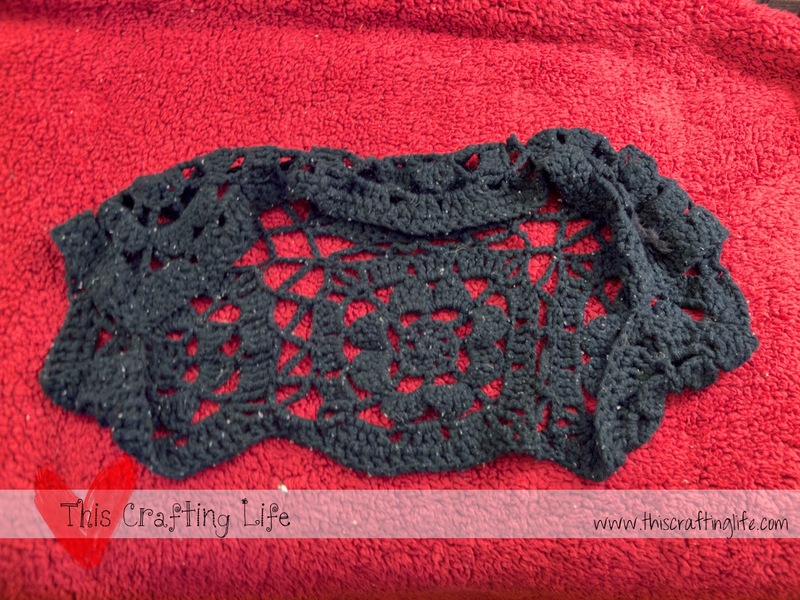 I need to do this on the knitting machine instead!! So I worked for a good 4 hours one night and cranked out this large piece, bound it off, and discovered that it needs more length. 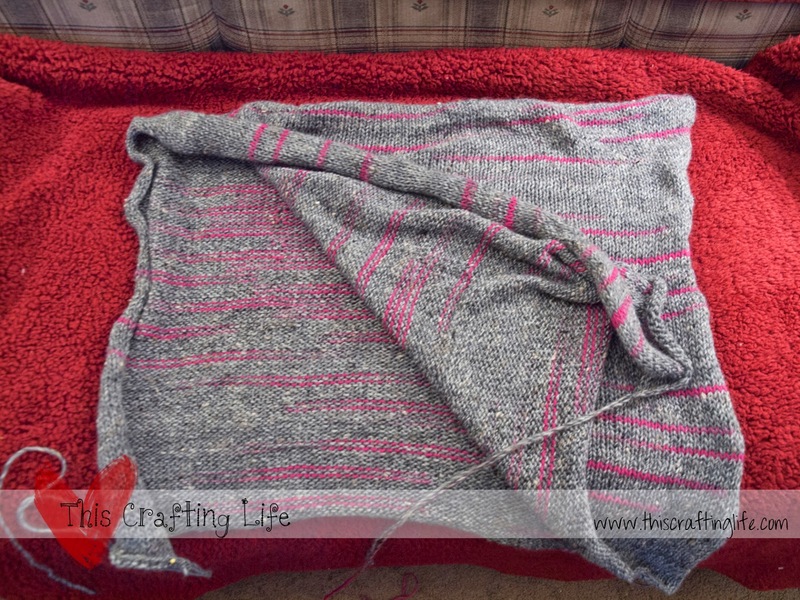 I will have to reattach it to the knitting machine and add about 20 more rows before I can finish it off. The more I talk about these, the more I mentally note for myself in the future! I've frogged a ton of projects and also finished a few now, and I'm so glad there's only going to be one more installment of WIP's before I can start sharing finished projects!!! What are you working on? Share below!! !